AeroPlus is worldwide distributor/reseller of the MiniCat in the aviation market. Our special MiniCat is an inflatable catamaran that fits well in most private 4-seater aircraft like the Cirrus SR20 and SR22 models, many Pipers and Cessna’s and of course it will also fit into aircraft like the Malibu or TBM850. Once you arrive at your destination it inflates into a full-size catamaran in 30 minutes, ready for you, your family and/or friends to sail away. The models we sell fit into aircraft like the Cirrus SR20/SR22 with room enough for extra luggage and a crew of two. Contact us with the details of your aircraft, so we can configure a catamaran for you that fits your needs. 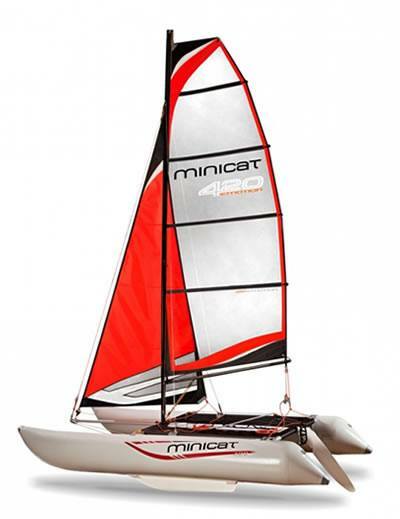 In the aviation editions of the MiniCat 310 and 420 models, we have reduced the total weight. We deliver our catamarans through Mini Catamaran Belenux, which is an activity of AeroPlus Aviation Software BV. Model 310 is designed for 2 people. It is small and light, but a full-bodied, fun sailing boat. Fully portable, it fits in a single bag (1,350 x 300 x 400 mm). Simply load the bag with the Minicatamaran in your aircraft to combine your trip with a great sailing opportunity. Offered in 3 models STANDARD, SUPER and SPORT and 5 different colours with plenty of accessories to choose from. Model 420 is designed for 4 people. 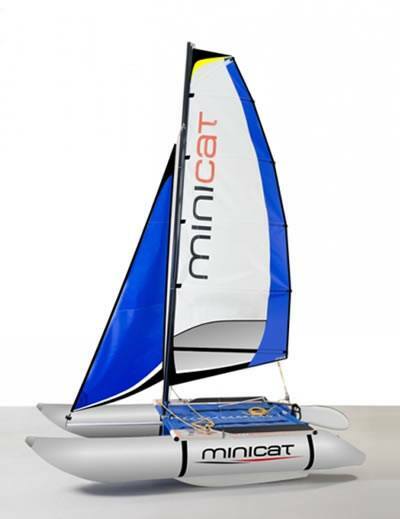 With excellent sailing characteristics and simple control, MiniCat 420 appeals not only to young budding yachtsmen but also to older experienced sailors. This is a seriously good sailing boat that fits in two bags (1,850 x 350 x 300 mm). Offered in 3 models EASY, INSTINCT and EVOQUE and 4 different colours it can even be used with an engine as a motor boat.